There's something very special about the rocking chairs that our Amish woodworkers create. 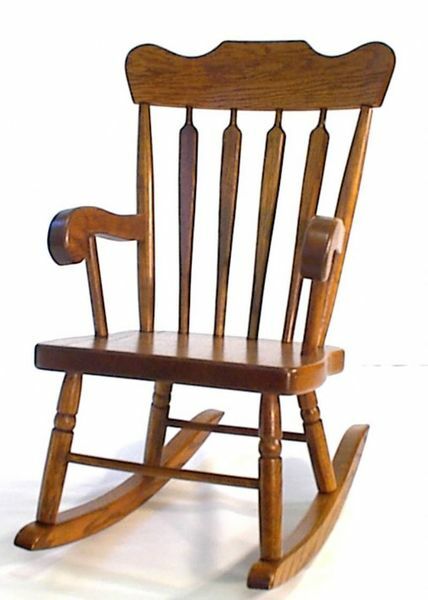 This Arrow-Back Kids' Rocking Chair - handcrafted from solid wood and then sanded and finished by hand - brings together perfect woodworking and a time-honored design that has remained unchanged for centuries. True American heritage is carried forward in every inch of the Arrow-Back's look and feel, with the traditional quality of Amish woodworking bringing this traditional piece to life in the way it always has. The Arrow-Back is a kids' wooden rocking chair that has the durability and the versatility it needs to provide the kids, grandkids, and great-grandkids with a perfect spot for play and relaxation for as long as they need one. Every one of its hand-finished surfaces comes with a flawlessly smooth look and feel that's ready to hold on to its beauty no matter how many little hands run across it, while the perfectly-angled rockers in the bottom promise perfect comfort at almost any age. The Arrow-Back is a rocking chair that wants to remain a steady and reliable part of the family home for as many generations as possible. Use the menus above to get your order started. Each Arrow-Back Kids' Rocking Chair is built completely to order, leaving plenty of room for customizations - please don't hesitate to get in touch with us by phone or by email if you'd like us to pass a special order along to the woodshop. We love this chair's traditional beauty, and we would love to talk with you about what it brings to the home. I LOVE everything on this order - the junior dining chair, the toy box and the rocking chair. Thank you so much! !